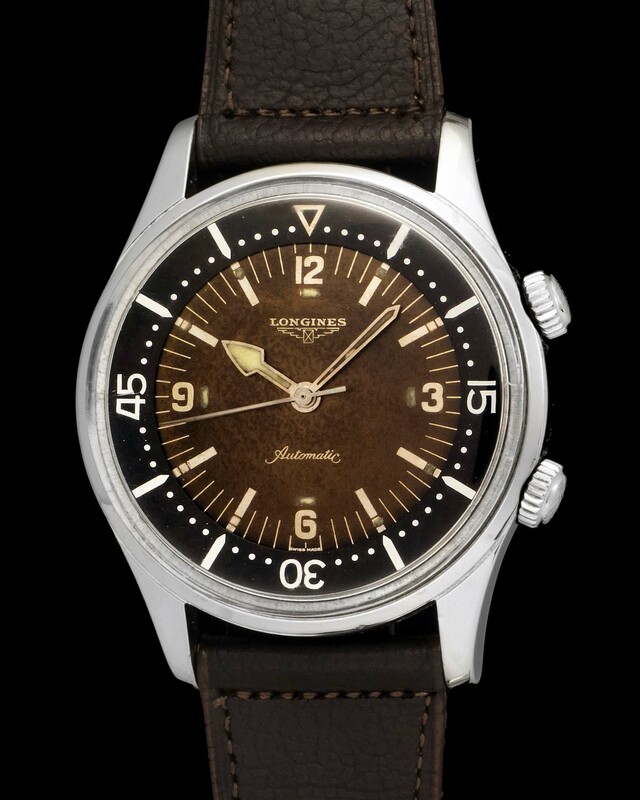 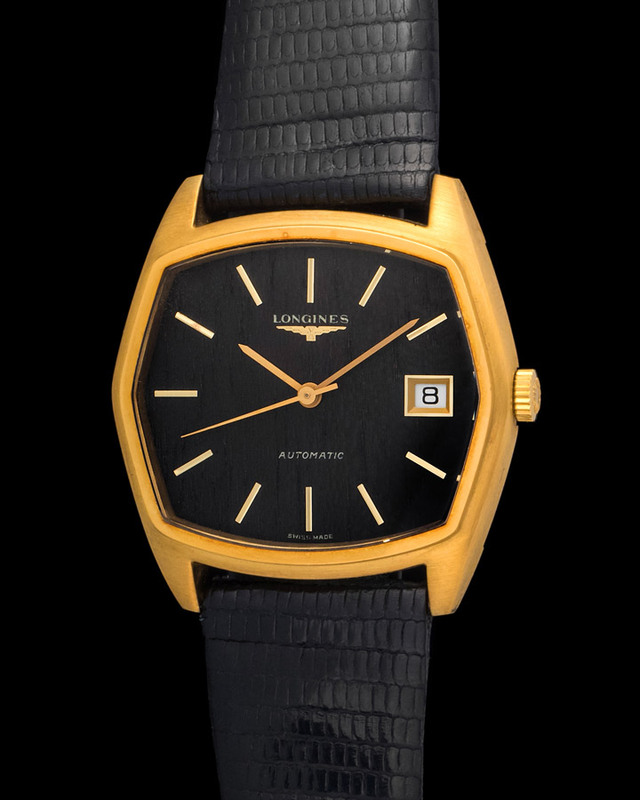 Fantastic super funky Longines from the '70 new old stock with a really unusual black wood dial, comes with the original strap and buckle never used. 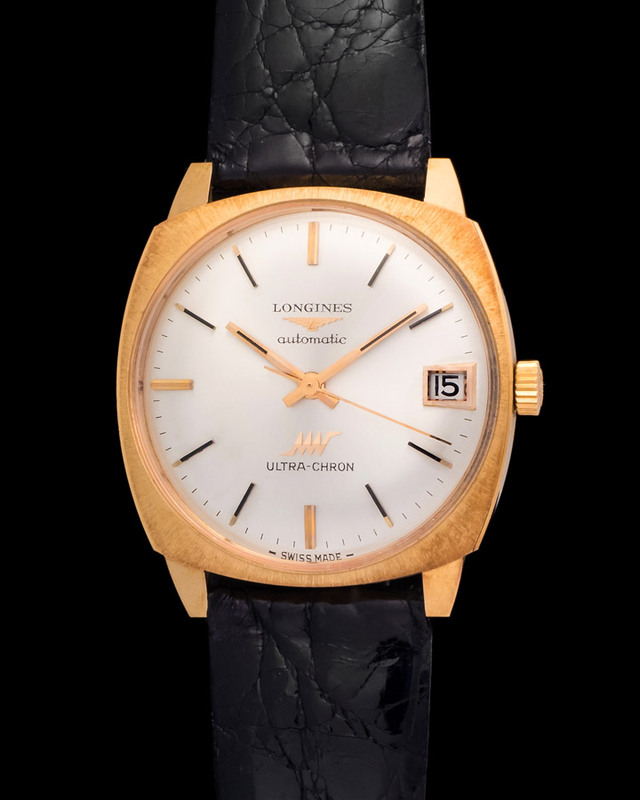 New old stock Longines cushion shape case in 18kt pink gold, watch has never been opened or worn, comes with a n.o.s Longines strap. 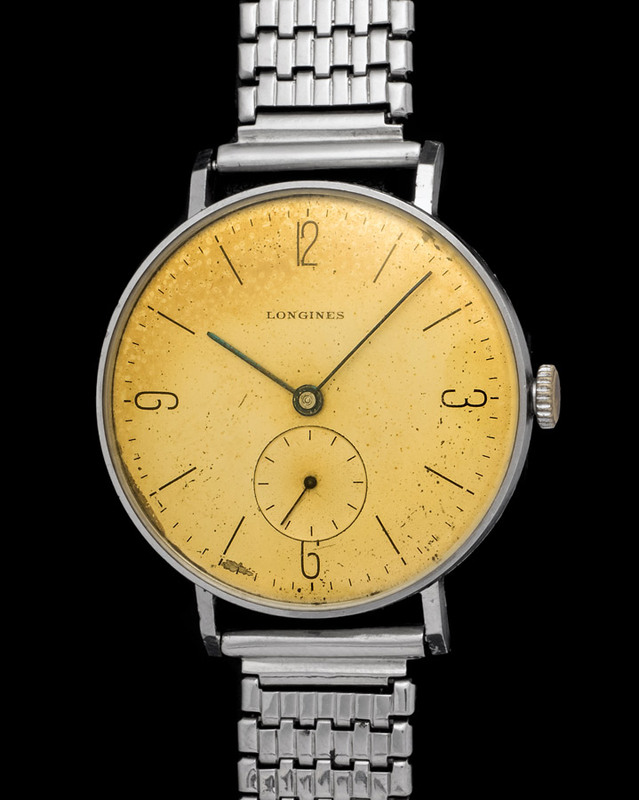 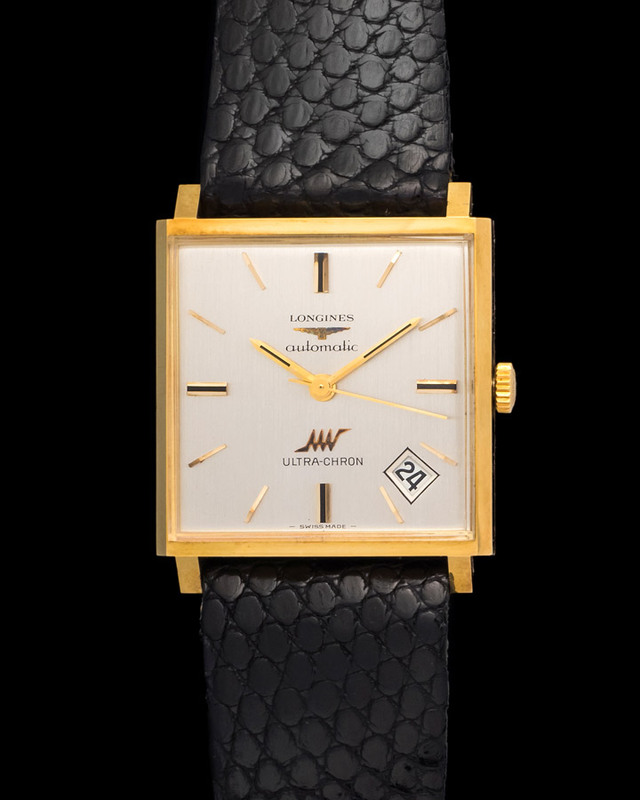 Longines Quare Date Automatic Ultra-Chron in 18K Yellow Gold in New Old Stock. 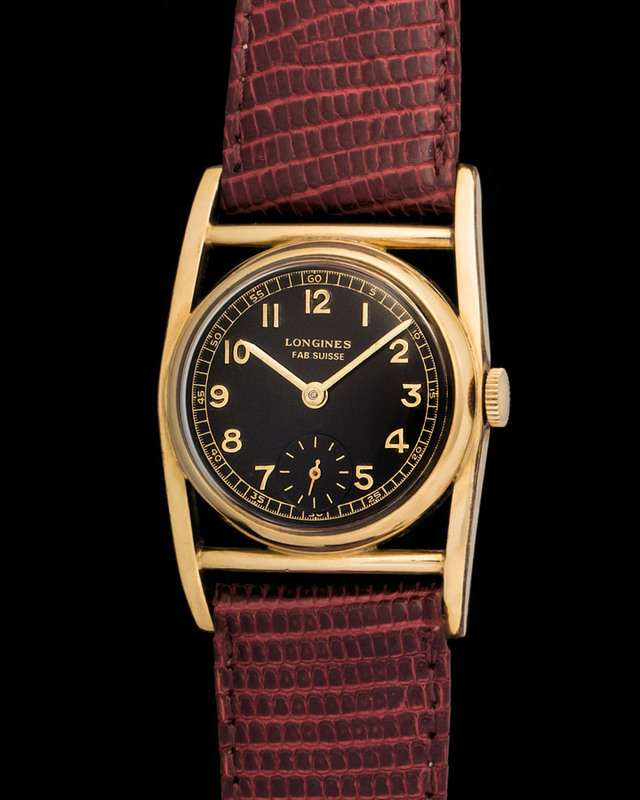 Amazing square Longines with aregentee dial in n.o.s. 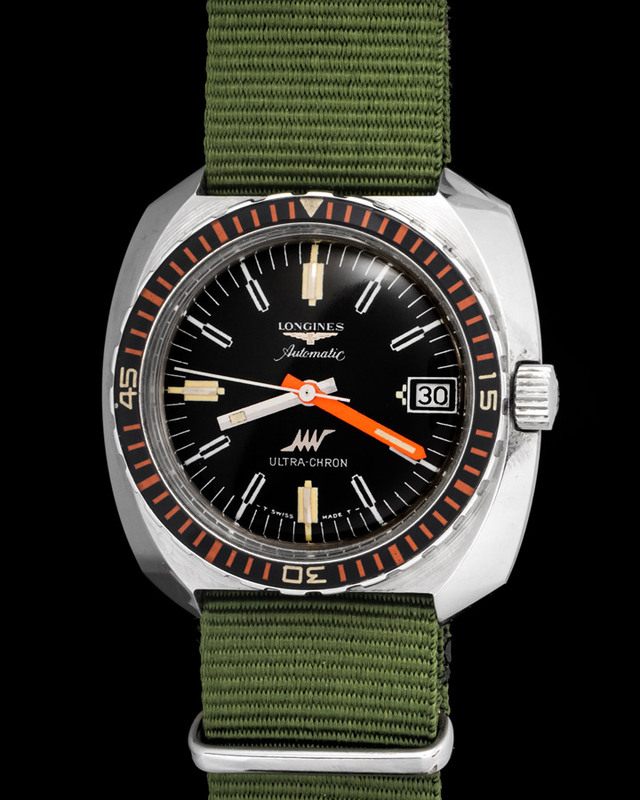 conditions, watch is 100% perfect, comes with original band and buckle . 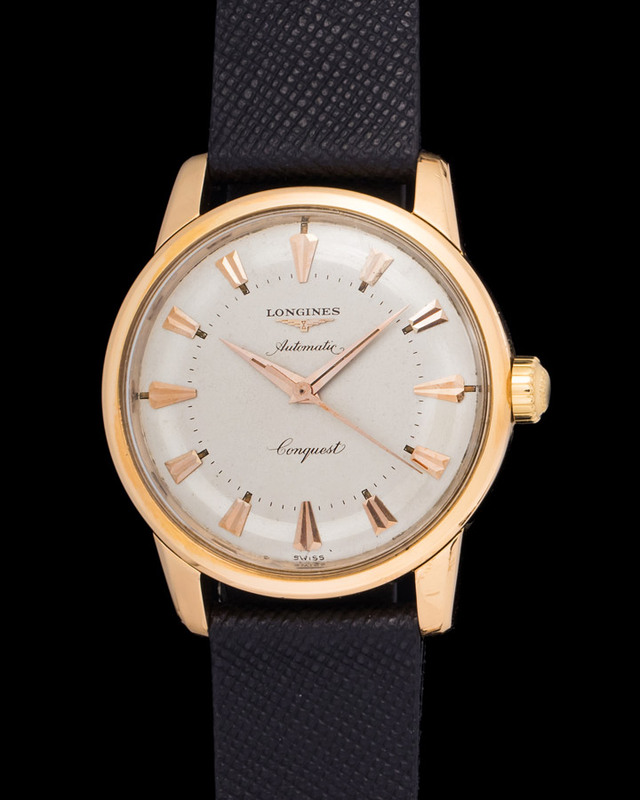 Stunning pink gold Longines Conquest cased in a 35mm case and powered by an automatic movement. 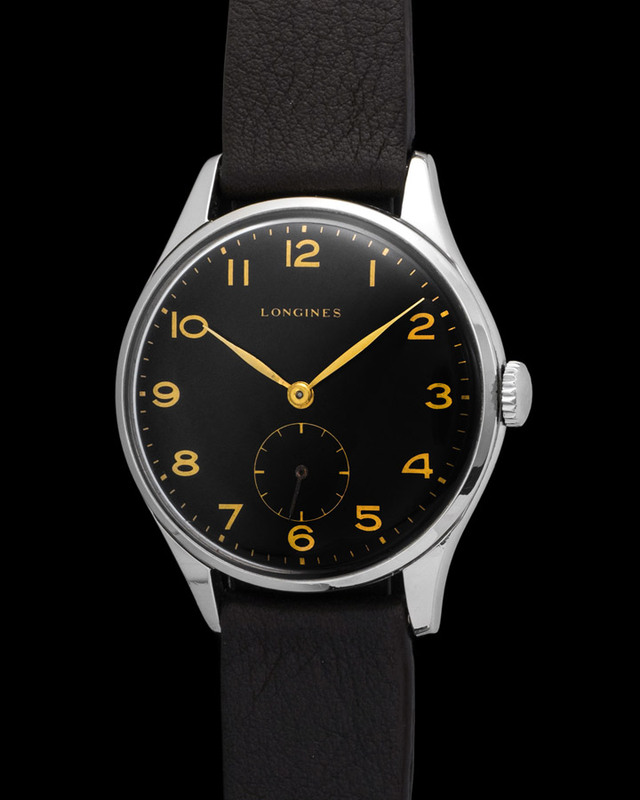 An attractive detail about the watch is its center seconds hand, giving the watch a classic yet relaxed look and feel.